I'm done buying basses for the rest of the YEAR!! last year I sold off a lot of them cause owning 20+ and only using 2 was getting crazy. a Charvel 575 tiger fur bass 100.00 in the other thread I started. 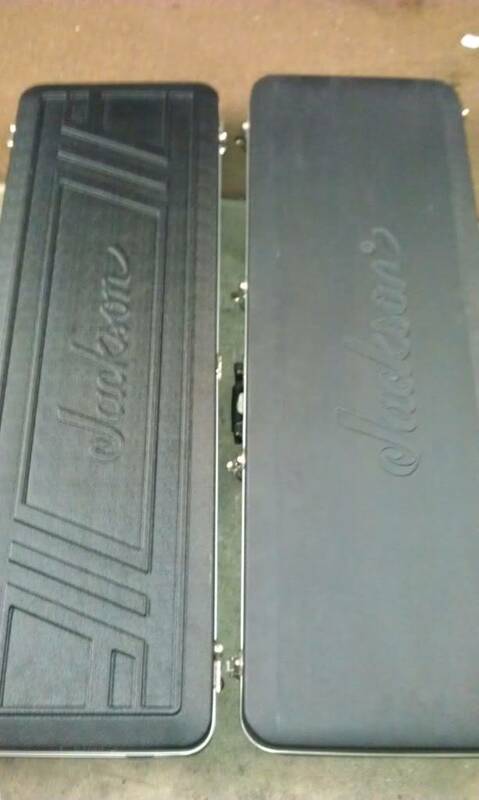 a Jackson C-20 for 200 bucks WITH a brand new case/w keys and a set of strings. So is this the list of what you've Bought? Kept? Sold? haha no just what I bought this month. I didnt sell anything yet, but that will be coming soon. 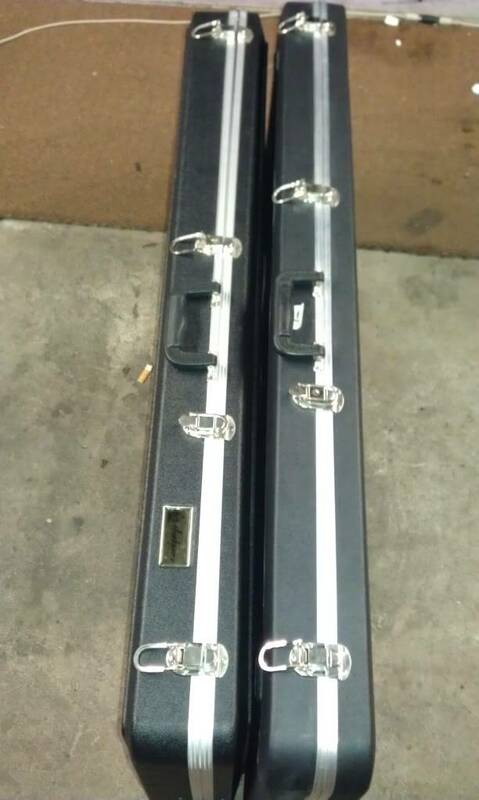 the C20 with the case is a standard case thank god because I accidentally bought a jackson case molded for only the C20 series, so that c20 I bought will be sold in the molded case and the nice new case will house another one of my standard p-bass units currently in a bag. here's a pic of the c20 case up against a standard case. The csm2b is taken apart as I hate the neck, if the PS5 neck fits in the pocket of that one, I'll put it on there and keep it if not ebay it goes. The Kramer is honestly the only useful unit I bought as far as a gigging bass. I know, I know 6 more months left, and my statement will probably NOT hold true, but yikes, I'm at 20 units again and just too crazy to keep track anymore. 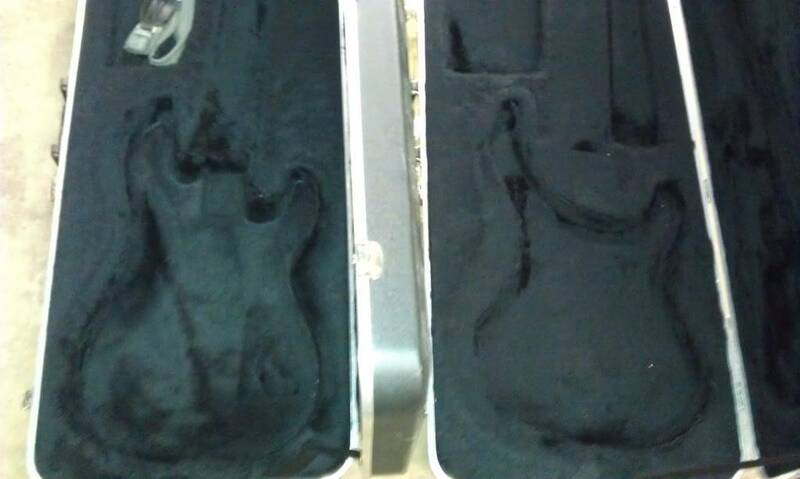 Man, 20 basses, that's a lot. I'm doing with a mere three, and fourth in progress. Nice collection though. Today I spent 400 euro's on a axon ax100 midi converter, already have one, but I also bought it under the idea, if I can't use it myself (as a spare) I can always sell it for more (seen them go for over 900 dollars on ebay). Couldn't you swap it out for the g-string tuner? Because you're gonna flip the strings you would still be able to use it? Or am I wrong (probably ). ya Jim...too many shelf basses for sure. Nothing on that list except for a few of mine are rare and not for sale. I wish I could Jim but nope cause now the E string is on the top tuner and the lever would hit the next tuner in the line - all my lefty basses are 4/5 in a row not 2x2. I'll find someone on leftybass or talkbass to buy it and I'll give them a good deal since it was a gift. I also have an old chrome 2410 kahler with no arm, it may be something someone HERE may want in the future so someday I'll ask you folks here if someone wants it. I knew the Kramers were 4 in line, just thought that there would perhaps be enough room for the lever. Too bad . 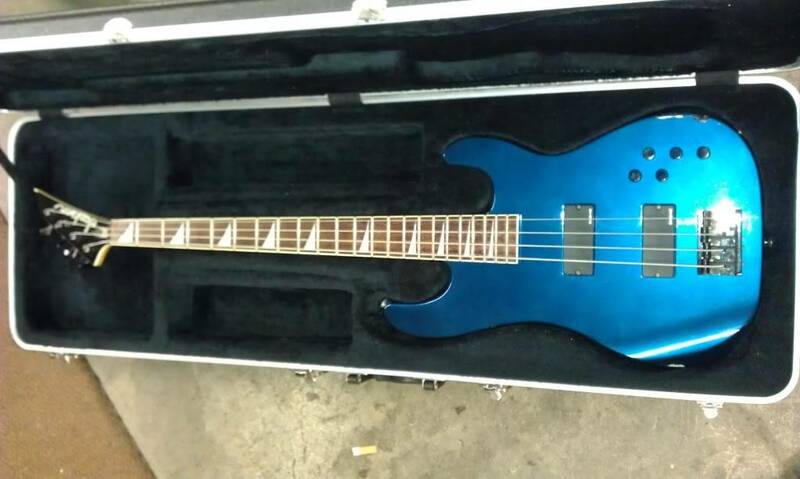 i took a tuner out of my starfire bass since it had no strings on it which has the same head as the jacksons and nope wont work. I'm not disappointed since it was a gift, and someone else will get a good deal and buy it. it'll get sold pretty quick. 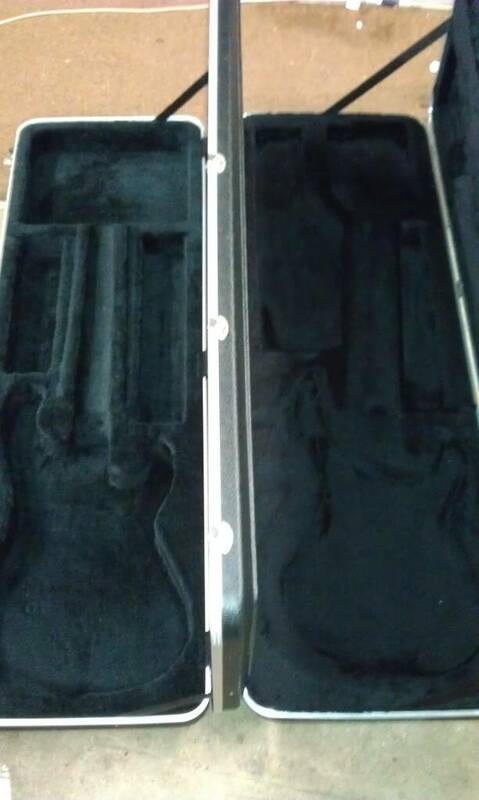 the premium case is lighter and way better construction difference inside BUT, and this just makes me laugh even more, is it is the shorter case and the old charvel head units are longer and wont fit..
so just then I think i'm screwed, naw, I put my CMG in it and now have a case for the tigerfur bass. Subject: Re: I'm done buying basses for the rest of the YEAR! !